This quilt perfectly matches our weather this winter…lots (and LOTS) of rain with some scattered sun breaks if we’re lucky! This indigo color is so popular right now. 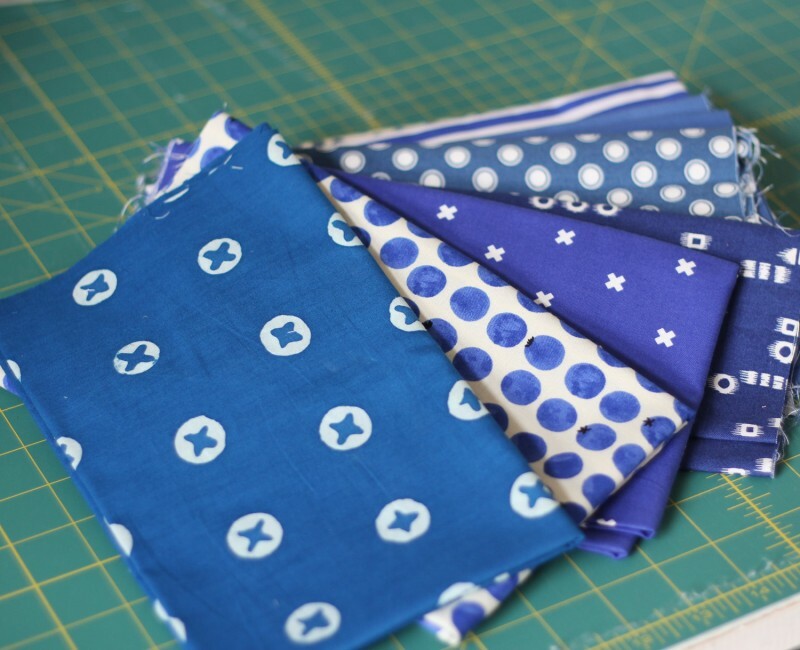 I bought a couple more indigo prints to match some in my stash. Some of these are a bit more on the navy side but the different shades go together nicely. This little quilt ended up about 39″ x 45″, and the borders are 4 1/2″. 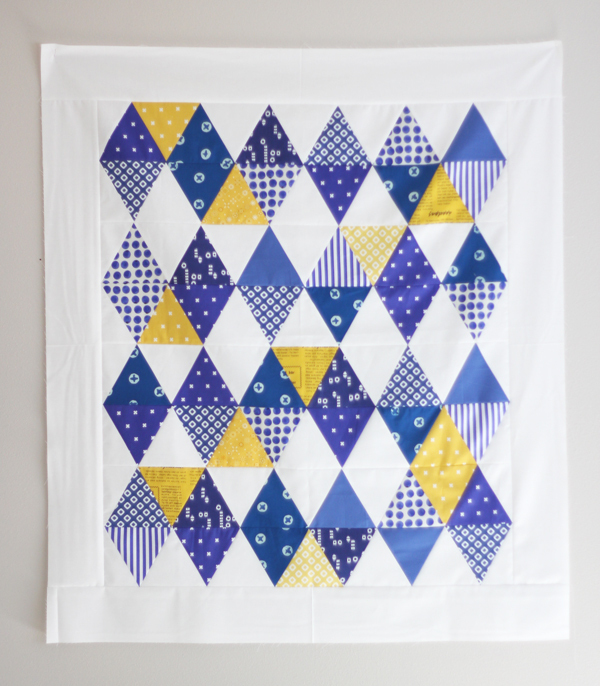 I want to straight line quilt this with a diagonal crosshatch design….but for now it’s still hanging on my wall. I don’t have a tutorial for a triangle quilt but they are very simple to make. 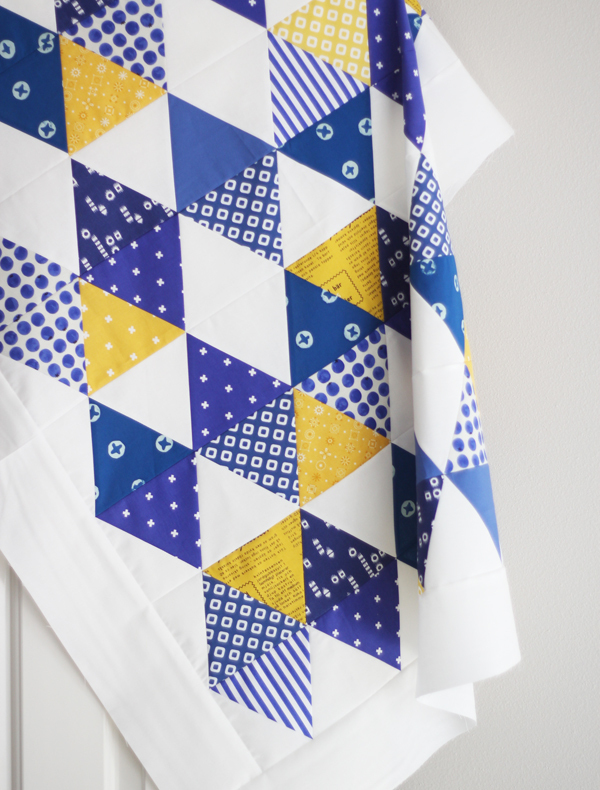 This is a great tutorial for sewing the triangle blocks together and getting perfect points. All you really need is a 60 degree cutting ruler. You could even do without a ruler, but using one will make your life a heck of a lot easier. I have this ruler (the one I’m using in the picture), and this ruler , I like the smaller sizes that go up to 6 – 8″. 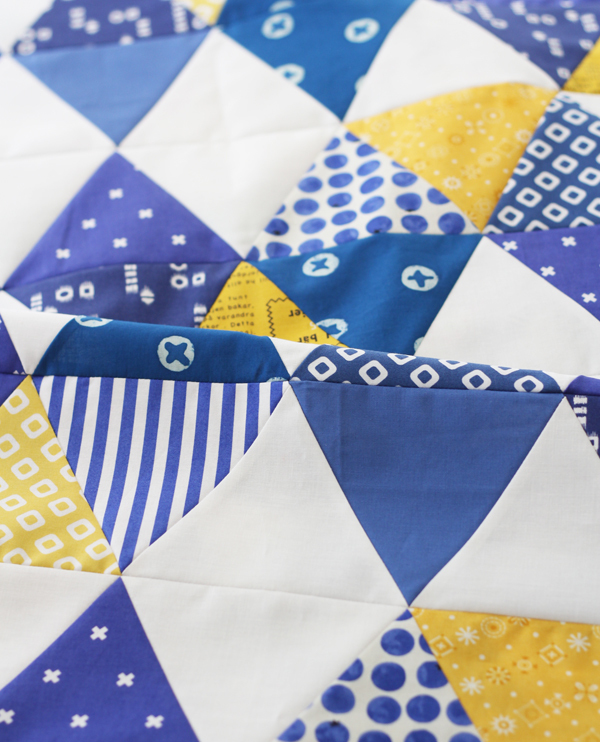 For this quilt I cut my strips 5″, and cut 5″ triangles using my triangle ruler. 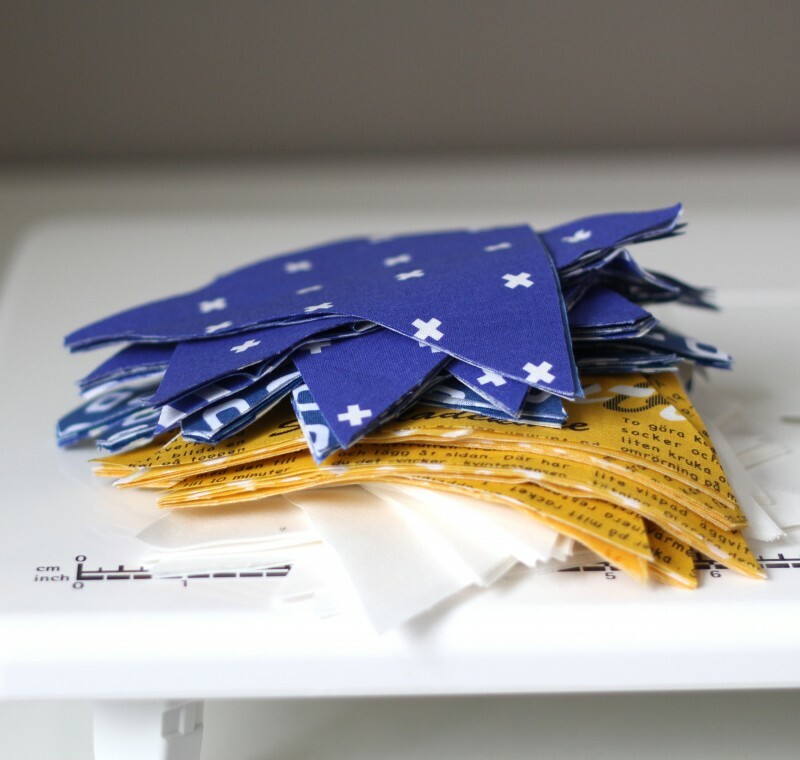 You can cut 10 triangles from each 5″ x width of fabric strip. Leaving the fabric folded and lining up your ruler with the last cut as you go makes these really quick to cut. Here’s hoping for less rain and more sun breaks soon! i love indigo fabric too. I will have to try this. 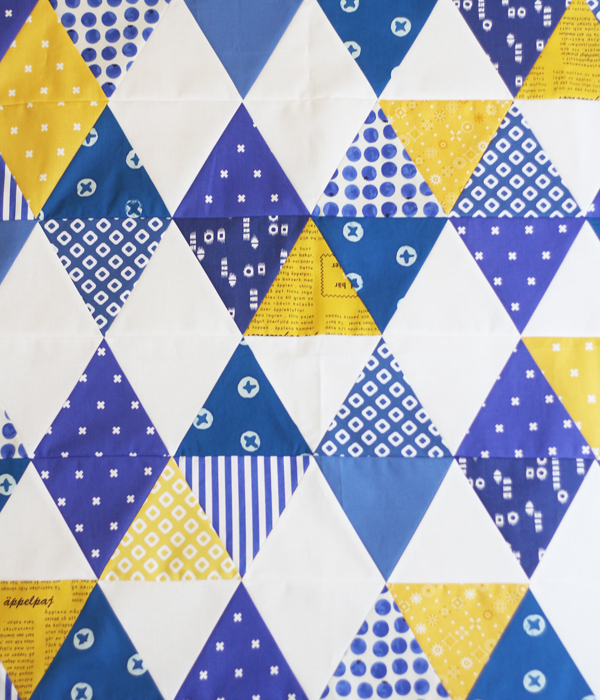 Love that Indigo blue color and with the yellow – it is beautiful! Hope the sun shines soon and stays out long for you :)! Love the indigo blue. 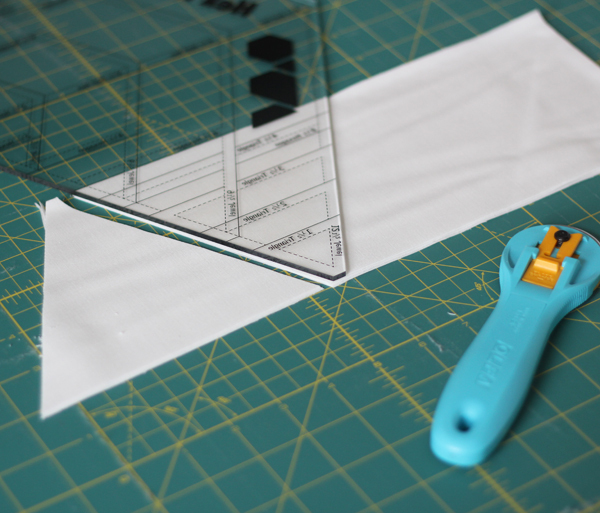 And love my Hex n’ More ruler — only way to cut triangles. I love this! And everything you do- so fresh and perfect color combos! So inspiring! Love this one! As a past high school agriculture teacher and FFA advisor this one totally reminds me of the FFA! I LOVE IT!!! I’m sure it’s not what you had in mind, but I can’t help but think of the FFA when I see blue and yellow (gold) together. I especially like the triangles too! Thanks for sharing!!! Gorgeous!! and I think I remember that second-to-last photo. The combination of blue and yellow here is fresh and inviting. Beautiful quilt! Love the colors- so bright and cheery!! Lovely quilt, must make one. So beautiful. you do such great work! Thanks for being such an inspiration!